Just finished my last postgraduate lecture, so that’s the teaching out of the way for this academic year. Time, methinks, for a short post to pass on two little bits of astronomy news for reaction and perhaps comment? The first item concerns the balloon-borne polarimeter experiment known to its friends as EBEX. A truly bizarre story emerged this week concerning the disappearance of this telescope and associated equipment while it was in transit via lorry from the University of Minnesota to the launch site in Palestine, Texas. The truck failed to arrive at its destination, and seemed to vanish for about three days. Obviously scientists working on EBEX were getting very nervous about its whereabouts , but finally it showed up. Apparently undamaged. The truck had apparently been stolen when the driver at stayed at a motel for the night; it was eventually found, three days later, abandoned not far from the motel. The other item of news I thought I’d pass on is an official announcement from the Science and Technology Facilities Council of the forthcoming closure of both the James Clerk Maxwell Telescope (JCMT) and the UK Infra-red Telescope (UKIRT), both based at Hawaii; UKIRT will close in September 2013, and JCMT the following year. There’s been much reaction to this announcement on Twitter. Andy Lawrence has posted about it, for example. Most colleagues of mine who have commented on the STFC decision have expressed dismay at the decision to lose UKIRT and JCMT and surprise at the decision to extend the operations of the Isaac Newton Group of Telescopes (ING) at the Observatorio del Roque de los Muchachos on La Palma in the Canary Islands, primarily the William Herschel Telescope (WHT) until at least 2015. I’m not sure of the extent to which these decisions were made on scientific grounds. The decision to close UKIRT/JCMT isn’t exactly a surprise as they have been living on borrowed time since the STFC prioritisation exercise in 2009. It remains to be seen how the astronomical community reacts to the decision. I gather a statement is expected from the Royal Astronomical Society later today. Comments and reaction are invited via the comments box, but please don’t shoot the messenger! UPDATE: The statement from the RAS can be found here. Wherein no grief they had. More hope to perish soon. Some of my colleagues in the School of Physics & Astronomy recently attended a briefing session about the forthcoming Research Excellence Framework. This, together with the post I reblogged earlier this morning, suggested that I should re-hash an article I wrote some time ago about the arithmetic of the REF, and how it will clearly not do what it says on the tin. The first thing is the scale of the task facing members of the panel undertaking the assessment. 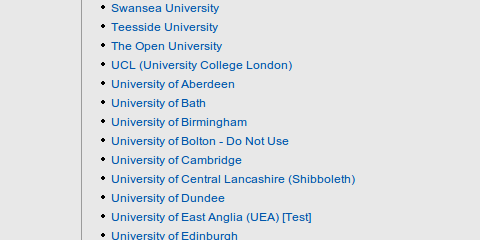 Every research active member of staff in every University in the UK is requested to submit four research publications (“outputs”) to the panel, and we are told that each of these will be read by at least two panel members. The Physics panel comprises 20 members. As a rough guess I’d say that the UK has about 40 Physics departments, and the average number of research-active staff in each is probably about 40. That gives about 1600 individuals for the REF. Actually the number of category A staff submitted to the 2008 RAE was 1,685.57 FTE (Full-Time Equivalent), pretty close to this figure. At 4 outputs per person that gives 6400 papers to be read. We’re told that each will be read by at least two members of the panel, so that gives an overall job size of 12800 paper-readings. There are 20 members of the panel, so that means that between 29th November 2013 (the deadline for submissions) and the announcement of the results in December 2014 each member of the panel will have to have read 640 research papers. That’s an average of about two a day. Every day. Weekends included. There is an expectation that the so-called QR funding allocated as a result of the 2013 REF will be heavily weighted towards 4*, with perhaps a small allocation to 3* and probably nothing at all for lower grades. In other words “Internationally recognized” research will probably be deemed completely worthless by HEFCE. Will the papers belonging to the category “Not really understood by the panel member” suffer the same fate? The panel members will apparently know enough about every single one of the papers they are going to read in order to place them into one of the above categories, especially the crucial ones “world-leading” or “internationally excellent”, both of which are obviously defined in a completely transparent and objective manner. Not. 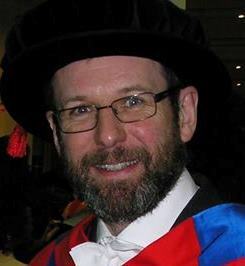 We are told that after forming this judgement based on their expertise the panel members will “check” the citation information for the papers. This will be done using the SCOPUS service provided (no doubt at considerable cost) by Elsevier, which by sheer coincidence also happens to be a purveyor of ridiculously overpriced academic journals. No doubt Elsevier are on a nice little earner peddling meaningless data for the HECFE bean-counters, but I haven’t any confidence that it will add much value to the assessment process. There have been high-profile statements to the effect that the REF will take no account of where the relevant “outputs” are published, including a recent pronouncement by David Willetts. On the face of it, that would suggest that a paper published in the spirit of Open Access in a free archive would not be disadvantaged. However, I very much doubt that will be the case. I think if you look at the volume of work facing the REF panel members it’s pretty clear that citation statistics will be much more important for the Physics panel than we’ve been led to believe. The panel simply won’t have the time or the breadth of understanding to do an in-depth assessment of every paper, so will inevitably in many cases be led by bibliometric information. The fact that SCOPUS doesn’t cover the arXiv means that citation information will be entirely missing from papers just published there. The involvement of a company like Elsevier in this system just demonstrates the extent to which the machinery of research assessment is driven by the academic publishing industry. The REF is now pretty much the only reason why we have to use traditional journals. It would be better for research, better for public accountability and better economically if we all published our research free of charge in open archives. It wouldn’t be good for academic publishing houses, however, so they’re naturally very keen to keep things just the way they are. The saddest thing is that we’re all so cowed by the system that we see no alternative but to participate in this scam. Incidentally we were told before the 2008 Research Assessment Exercise that citation data would emphatically not be used; we were also told afterwards that citation data had been used by the Physics panel. That’s just one of the reasons why I’m very sceptical about the veracity of some of the pronouncements coming out from the REF establishment. Who knows what they actually do behind closed doors? All the documentation is shredded after the results are published. Who can trust such a system? To put it bluntly, the apparatus of research assessment has done what most bureaucracies eventually do; it has become entirely self-serving. It is imposing increasingly ridiculous administrative burdens on researchers, inventing increasingly arbitrary assessment criteria and wasting increasing amounts of money on red tape which should actually be going to fund research. Another illustration of how the Academic Journal Racketeers (in this case one of the usual suspects, Elsevier) have a stranglehold on research. 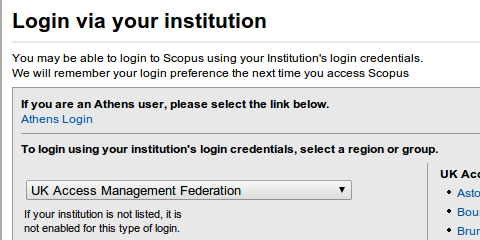 As well as levying huge subscription charges they also supply a service called SCOPUS which the panels in the Research Excellence Framework will use to inform their deliberations. 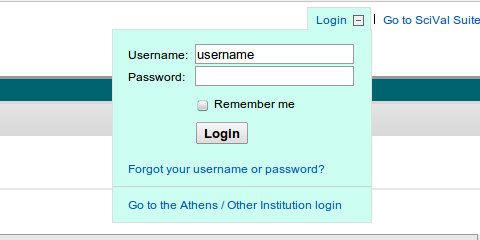 Needless to say, SCOPUS itself is a subscription-only resource. The academic publishing industry is of course very keen on the Research Excellence Framework. It’s certainly an Excellent Framework when it comes to making money. Pity about the actual Research though. Sounds useful. But it’s useless. Literally. So it’s useless to me. Literally. ..but hang on. 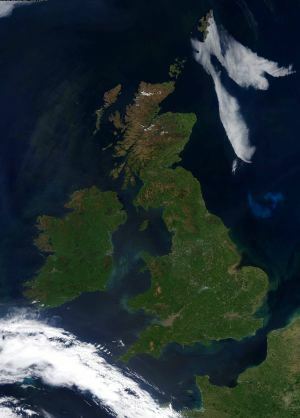 What’s that coming up from the South West, just in time for the Jubilee celebrations? I know it’s tempting fate to post something with a title like Long Long Summer, but we’ve had such lovely warm weather for the last week or so I couldn’t resist putting this up while the sun’s still shining. I particularly wanted to share this track (a) because it matches the weather perfectly and (b) because it’s by the great Dizzy Gillespie Quintet of 1962 with Lalo Schifrin on piano, man best known as a prolific composer of film and TV scores. The band also featured Leo Wright, a very under-rated saxophonist and flautist. They all play terrifically on this original composition by Lalo Schifrin. There’s also a chance to see an interesting collection of photographs of Dizzy Gillespie, and his amazing cheeks! Last night I went with some friends to the Wales Millennium Centre in sunny Cardiff Bay; not, this time, for an Opera but to see a movie. Well, not just to see a movie but to listen to the soundtrack performed live at the same time. It turned out to be a fascinating and memorable evening, enjoyed by a very large audience. The film was the classic 1931 version of Bram Stoker’s Dracula, starring the great Bela Lugosi as the Count. This version – the first of many variations on the theme – was based very closely on the 1927 Broadway play in which Lugosi also played the title role. The music we heard was specially composed to accompany Dracula by Philip Glass, and the man himself was there to perform it. Philip Glass, I mean, not Count Dracula. The musicians numbered six in total, actually, as Philip Glass was joined by the Kronos Quartet and together they were directed by Michael Riesman, who sat with his back to the audience watching the film on the big screen. Although the musicians started a bit ropily, they soon pulled themselves together and it became obvious that the music was going to bring a significant new dimension to this pioneering old horror movie. In fact, as a very early “talkie” the original film had no musical score at all and very few sound effects of any kind. The music composed by Philip Glass brings extra dramatic intensity to some of the movie’s iconic sequences, such as the battle of wills when Dracula tries to mesmerise Professor van Helsing. The insistent repetition which is characteristic of Glass’ minimalist approach adds urgency where needed, but there are also contrasting passages of relaxed beauty. The score is also beautifully understated where it needs to be, simple enough not to distract attention away from the screen. The passing years have not been particularly kind to the film. The effects are often unconvincing (to say the least), especially the bats-on-strings, some of the acting very hammy, and the audio quality was so poor that the dialogue was often so muffled as to be barely audible (and not helped by bad mixing with the music). Once you look past these superficial aspects, however, it’s not difficult to understand why this film is regarded as such a classic, because it is a highly original piece of work. It’s a far cry from a modern gore-fest, of course. The horror is implied rather than made explicit; all the actual blood-sucking happens out of shot. But the unsettlingly disjointed narrative, full of unexpected changes of scene and unexplained goings-on, gives it a dream-like feel and conjures up a unique sense of atmosphere. Although it it is now extremely dated, it doesn’t take that much imagination to understand why it created a sensation way back in 1931, with people apparently fainting in shock in the cinema. It also made a huge amount of money at the box office. Vampire movies are replete with their own set of clichés – the crucifixes, the absent reflections, the bats, etc etc – but this is the daddy of them all. The one thing that surprised me was the lack of garlic; the favoured protection against this particular member of the Undead is Wolfsbane (a member of the Aconite family of attractive yet lethally poisonous flowering plants; I used to grow a variety called Monk’s-Hood in my garden when I lived in Nottingham). 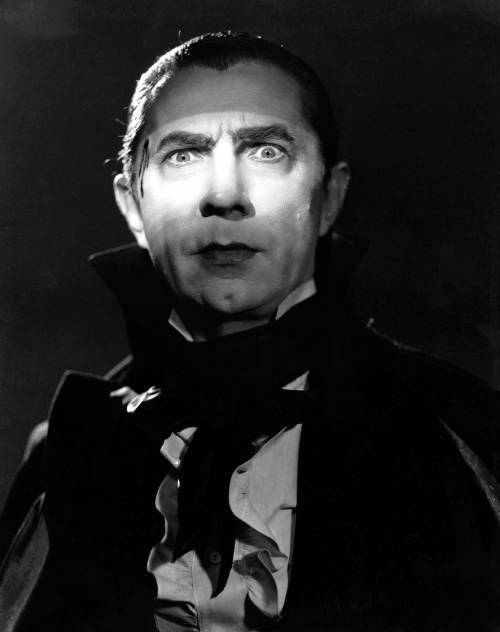 In the end, however, Dracula owes it all to the mesmerising screen presence of Bela Lugosi. This film made his name, and he was to spend most of the rest of his career typecast as a horror villain. His later years represented a downward spiral. Trouble with sciatica led doctors to prescribe him with opiates, on which he became hooked. His drug addiction made him notoriously unreliable and work dried up. His career dwindled away into obscure bit parts in poor quality B-movies. Although Bela Lugosi had his limitations as an actor, he didn’t deserve his fate. I’ve said before on here that I think people should be judged by their best work rather than by their worst, and so it is with Bela Lugosi. He was, and remains, the Count Dracula.